NeoGeoForLife.com - Kazuya's Neo Geo Reviews - Discussion Forum: What Manga Are You Currently Reading? 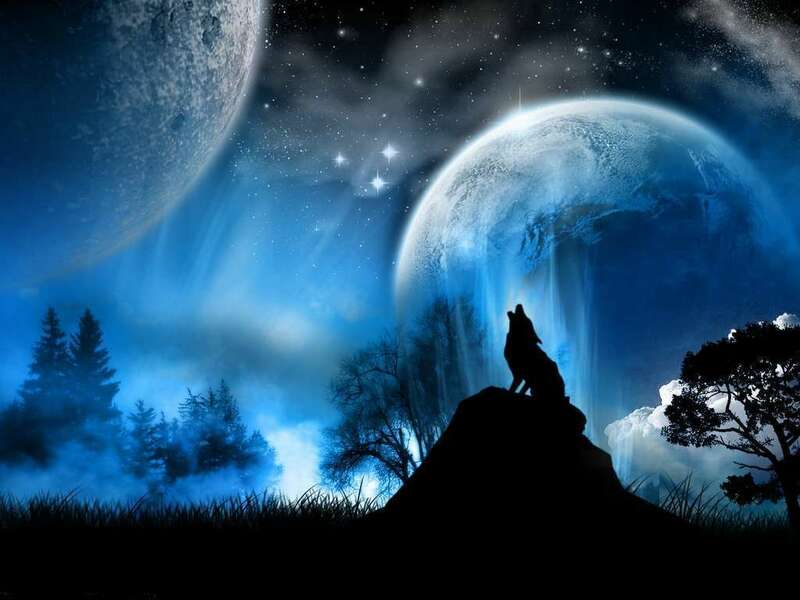 There are 52 posts in this thread, and it has been viewed 31326 times. Elfen Lied, following up by Shigurui: Death Frenzy. A while ago I've read through 20th Century Boys as well, a fantastic manga in my eyes. Have you watched the live-action trilogy as well? I think the movies were quite faithful to the manga, the cast was superb too. Monster looks pretty interesting too, furthermore it's drawn by the same mangaka. Yup, true. The filmmakers made some significant changes to sum up the plot, especially in the third movie (you'll see). Therefore I still prefer the manga, but even then the movies are still really good (although I don't appreciate Japanese filmmaking of nowadays that much, I think Koreans and Hongkongese make a better job over all). 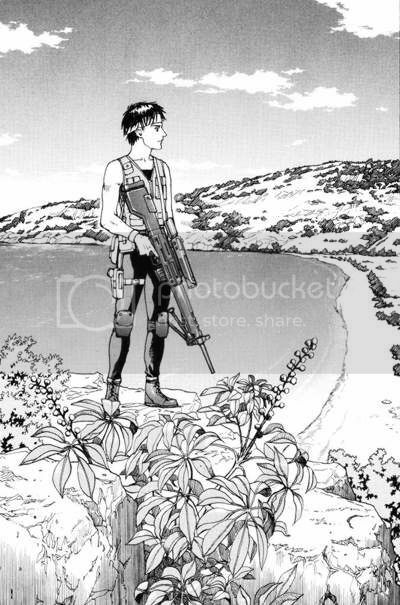 Another fantastic manga would be Eden: It's An Endless World. To put it in a nutshell, it's futuristic (but realistic), brutal, disturbing and thought-provoking as a manga can be. A criminally unknown masterpiece that deserves far more recognition than it gets. If anyone of you has a bit spare time to read through all 18 volumes (each over 200 pages! ), you won't be dissapointed. If there's a modern manga that deserves to be made into a high budget anime � la Akira, then it's that one. Blade of the Immortal and Vagabond. I've been reading them for like 10 years now, both equally enjoyable. Just started reading the first Akira volume. I'm still reading the still-ongoing Berserk. I can't wait until the story continues this winter. What an epic story. Woah, brace yourself for some epic stuff. If you already liked the anime, you will absolutely love the manga, this I can promise you. 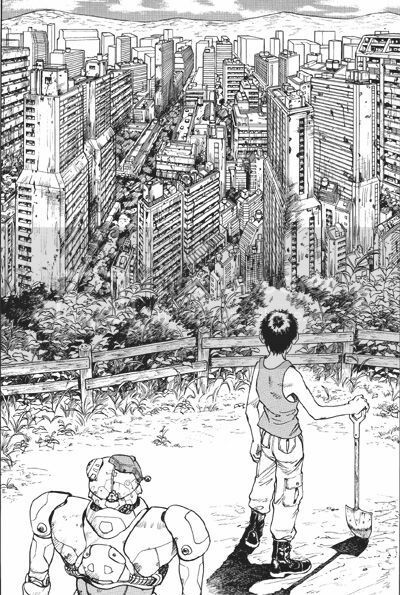 While the Akira manga starts a bit slow, it gets utterly fantastic as soon as Tetsuo starts seizing the city. Thanks mate. Definitely looking forward to it. I wanted to read some graphic novels and manga and this seemed to make most people's top 50 lists on the net. It's very strange for me because I normally have a good memory but I watched the anime film years ago and actually can't remember much about it now apart from the part where a guy mutates and his arm kind of grows. Looking forward to finding out why this happens! Will have to check out Beserk after. I've been reading lots of graphic novels/comics this last 2 years. The Sun is Sick by Wayne Coyne (by the guy from the Flaming Lips) I freaking love this. It's very weird though. A blind naked princess gives birth to an eyeball that she uses to see. The first comic is very free-form but the second one has more of a structure and really finds its way. I hope he makes a 3rd at some point. The Yattering and Jack - Based on a Clive Barker Story. Used to have this when I was young and I bought it again last year. A lot of work has gone into the drawings and I like that the hero is a balding middle-aged man.